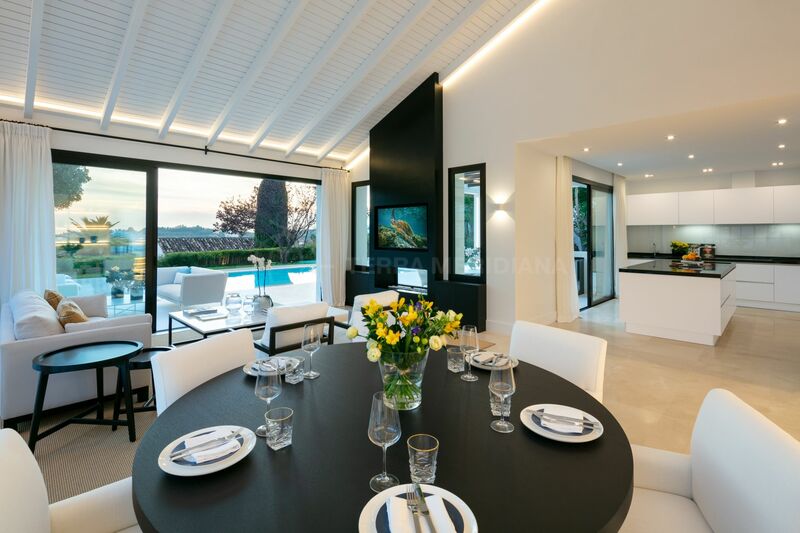 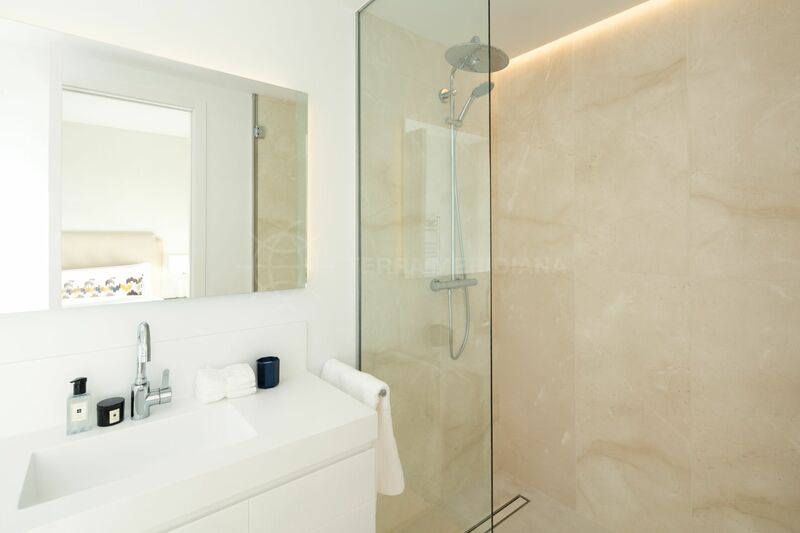 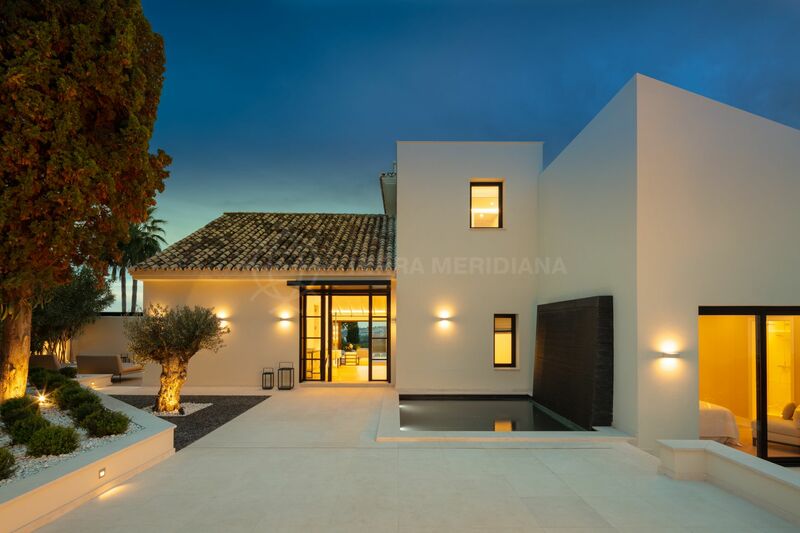 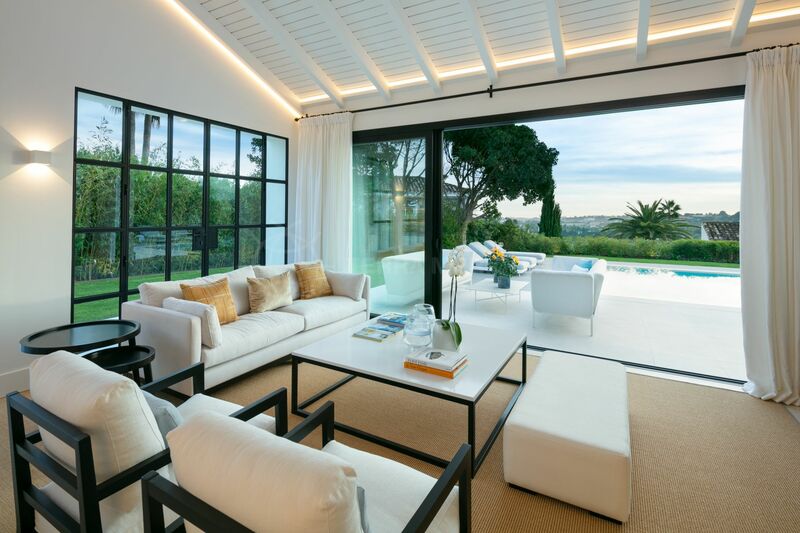 This remodelled villa is located in a tranquil street in Los Naranjos Golf and features a sophisticated modern design boasting ultimate luxury. 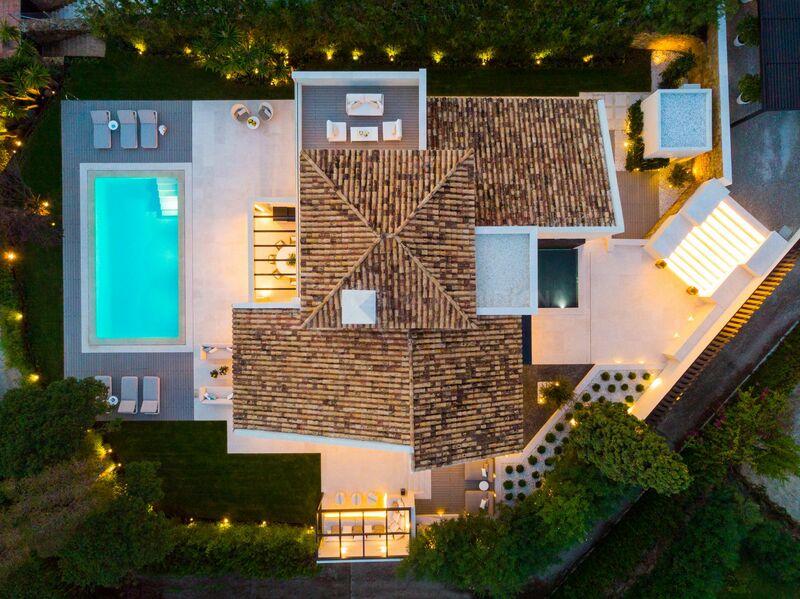 The entire property has been transformed and is accented with awe-inspiring detail revolving around a far-reaching panorama. 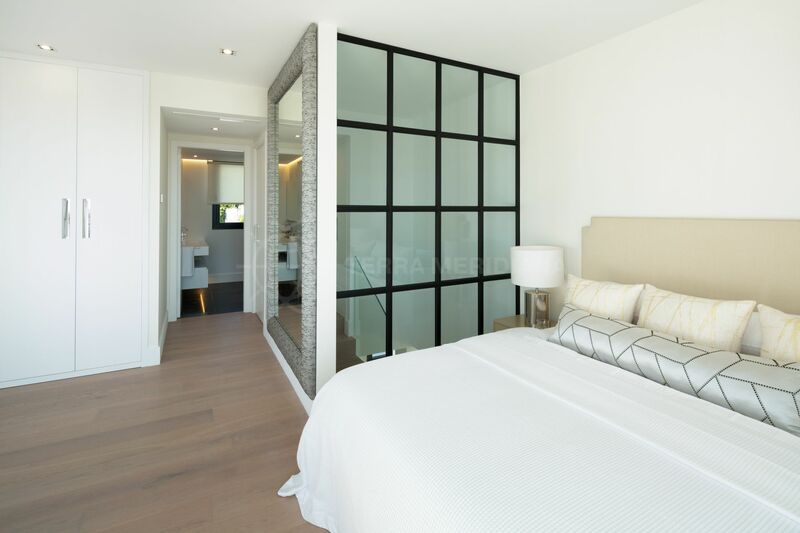 Carefully planned over 2 spacious levels the build is impeccable, and the selection of finishes is distinctively modern and of the highest quality. 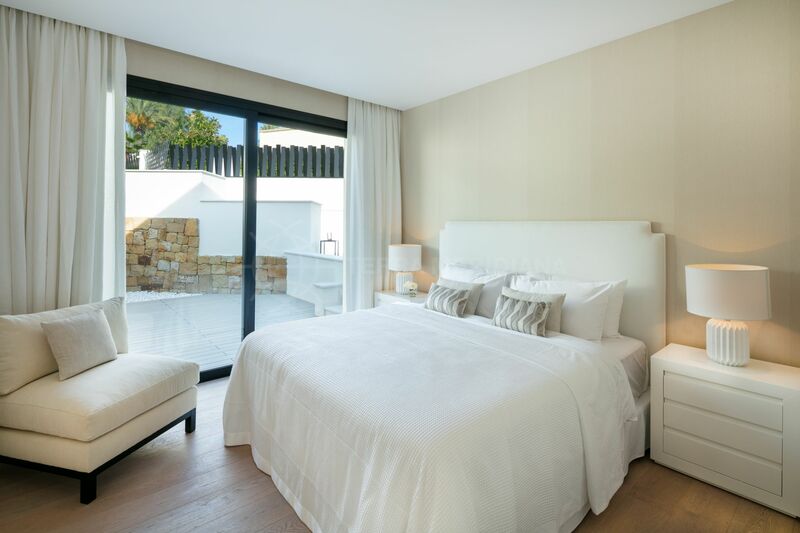 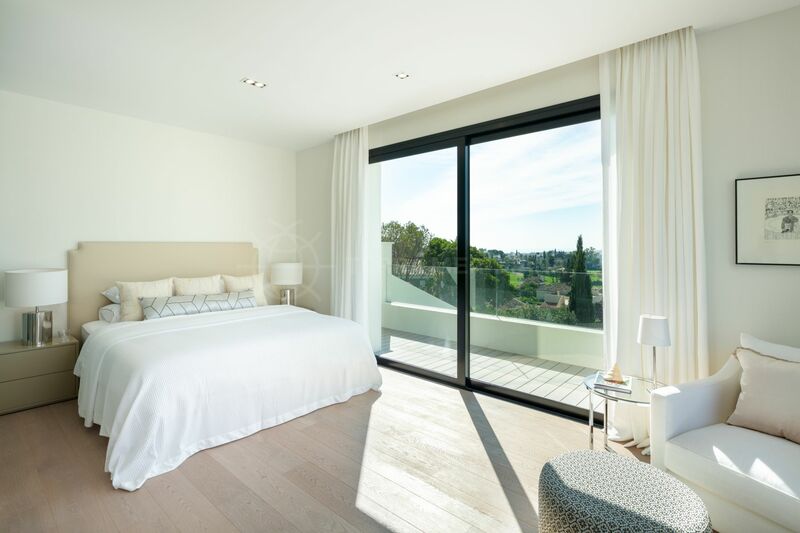 The main floor offers an entrance, an open plan living/dining area opening onto the exceptional outdoor space with an ample sheltered southwest facing terrace, a contemporary kitchen, 3 ensuite double bedrooms, a guest toilet and laundry room. 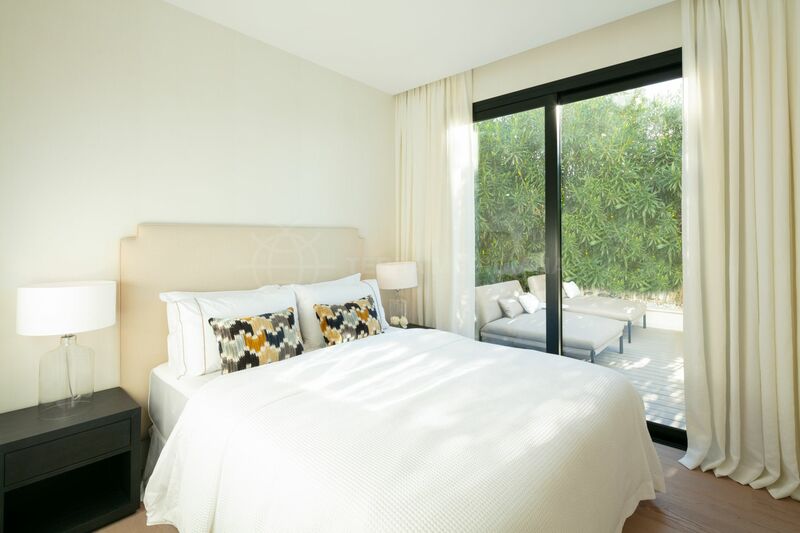 The first floor is entirely comprised of the master suite with walk-in closet and a large terrace which enjoys exceptional sea views. 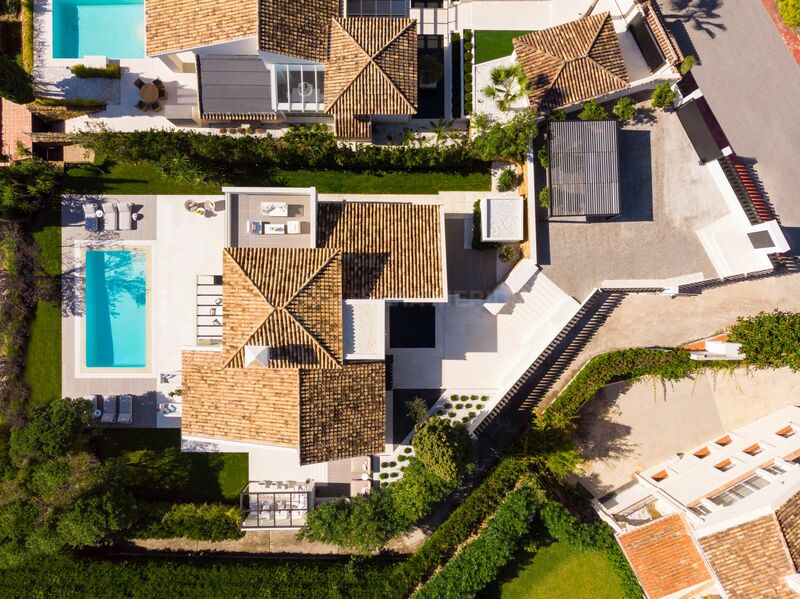 Worth mentioning is the top-of-the-line home automation system, a saltwater swimming pool, barbeque, and outdoor dining area ideal for entertaining. 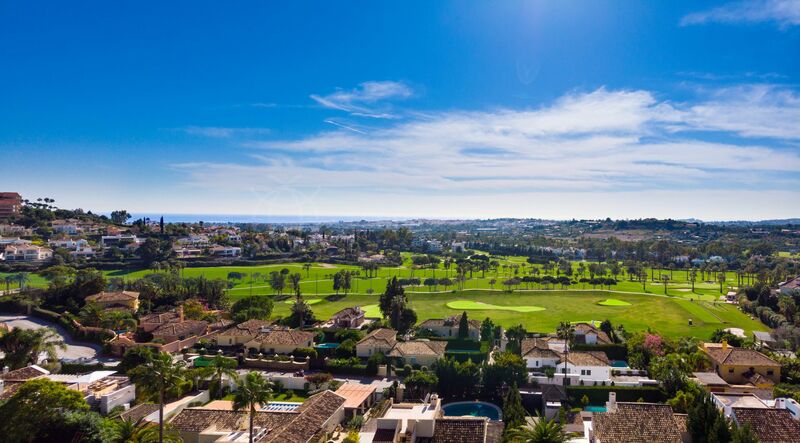 The home is within walking distance of Los Naranjos Golf Club and close to Las Brisas and Aloha golf courses. 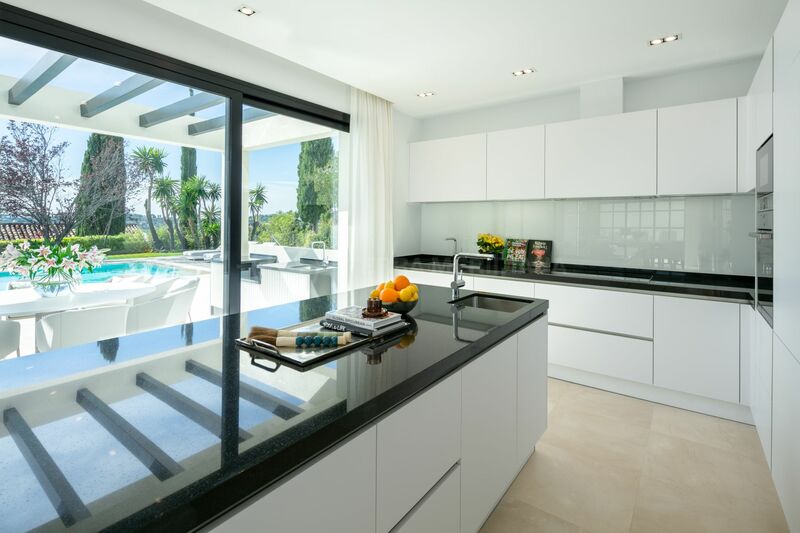 Approximately 5 minutes by car to Puerto Banus and the beaches and just over 15 minutes to Marbella centre. 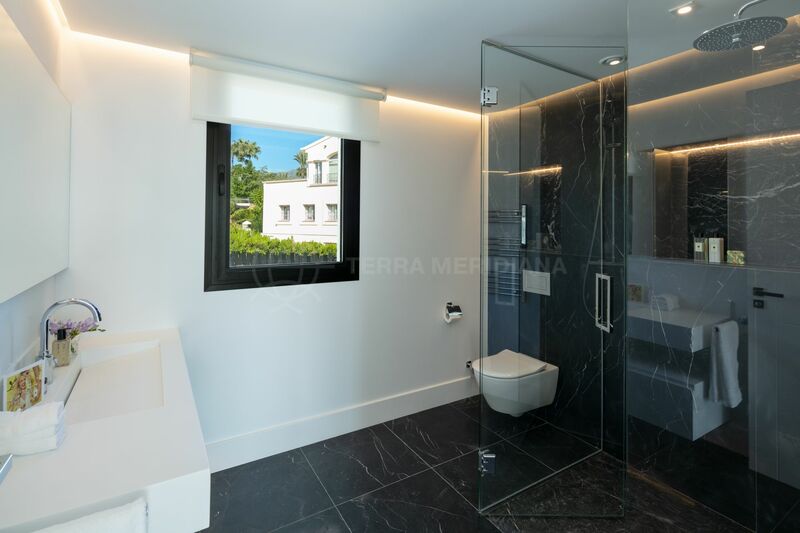 Near to several private bilingual schools and all amenities this property would make an idyllic family home. 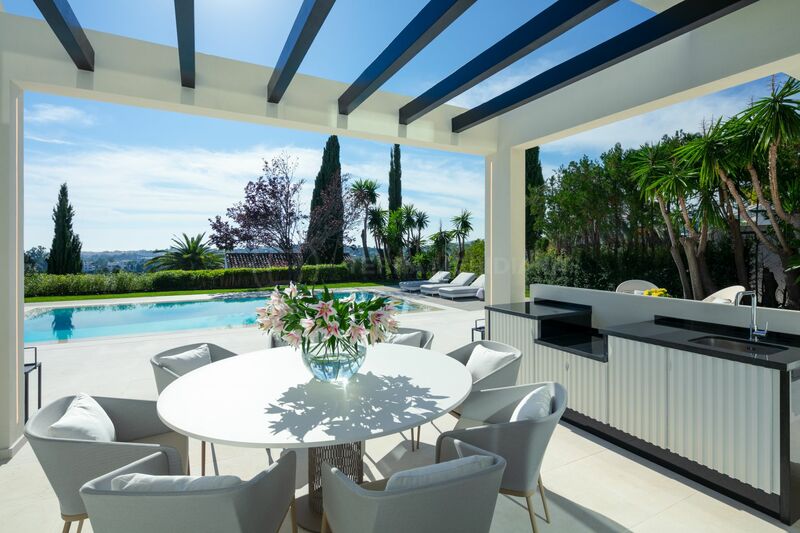 "A truly special residence in a quiet and relaxing golf setting." 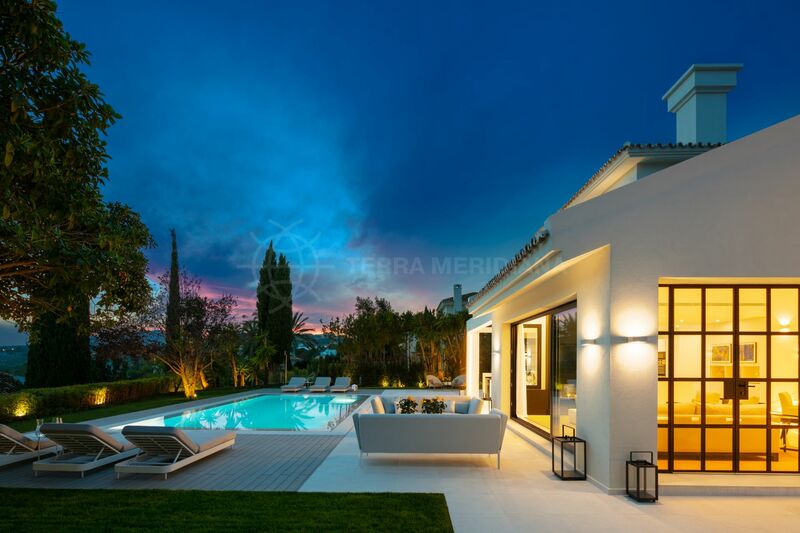 Please, send me more information about ref TMXV08153, Villa in Los Naranjos Golf, Nueva Andalucia or similar properties.